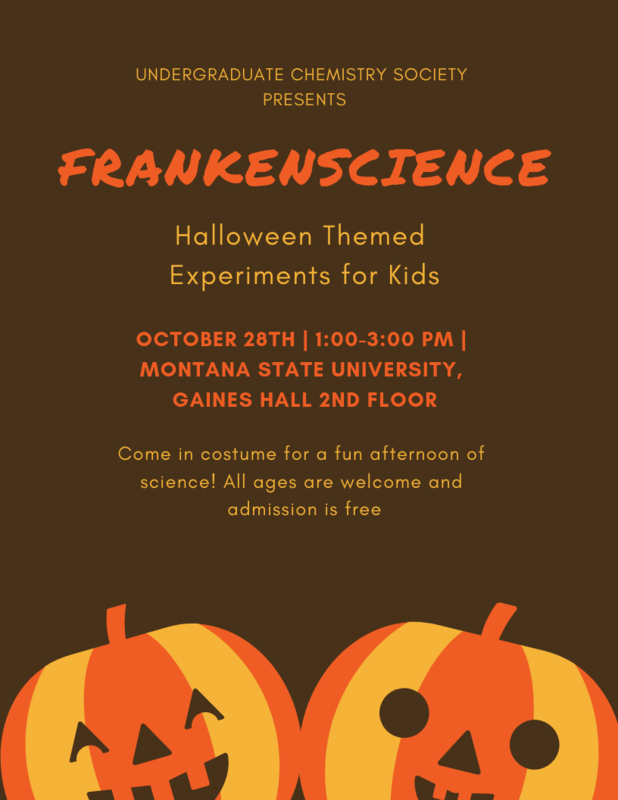 Sunday October 28th, from 1-3pm, the Undergraduate Chemistry Society will be putting on their annual Frankenscience event. 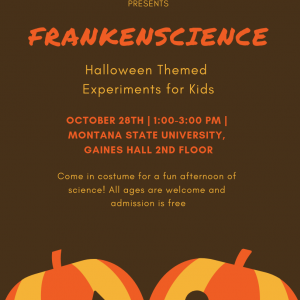 Come enjoy an afternoon of Halloween-themed experiments for kids! All ages are welcome, admission is free, and costumes are encouraged.